In recent years, technology has been dabbling in the fashion world. With the shift from brick-and-mortar retail shopping, technology’s impact has been difficult to ignore – especially with e-commerce in full force. As in all sectors, tech is revolutionizing how businesses operate, with the use of data analytics, artificial intelligence, virtual technology and so on -leading to streamlined and efficient processes. In light of these technologies, the retail sector is growing as well as the need for retailers to adapt to the new landscape and embrace the turning point of the fashion world. So, which technologies are making the biggest impact in the fashion industry? For fashion, this means a drastic change is emerging. A recent Retail Vision Study report stated that 70% of retail decision makers globally are ready to adopt the Internet of Things to improve customer experiences. Apparel items will have digital capabilities that open communication between retailer and customer – such as NADI X, yoga pants with built-in sensors that users into alignment by vibrating they move through the various yoga poses. This example and other IoT apparel, interact with the user to collect data that helps retailers understand needs and concerns, and implement it to create a more personalized experience. So, rather than manually gathering data, retailers are utilizing AI to collect, organize, analyze, and sort data into relevant categories, that can then be used to predict and understand what their customers are looking for – and deliver on it. AI in action is demonstrated by Screenshop, an app created by Kim Kardashian that uses AI image recognition to make fashion easier. Users simply take a photo or screenshot anywhere of a look they like and open the app to find similar products at any price – so users can shop the whole look. This handheld fashion store helps users find shoppable prices to ultimately create a better wardrobe. These days, internet access is so readily available wherever, whenever and it’s all due to one thing – smartphones. With social media apps, digital wallets, and communication apps, it’s clear that mobile has not only impacted our everyday lives but now squeezing its way into the business world. This era of connectivity has introduced a sleeker form of shopping through mobile commerce. Armed with our smartphones, now not only can we shop online but, have easy payment experiences with digital wallet options such as Apple and Android Pay. In fact, BigCommerce found that two out of three millennials prefer to shop online rather than go to a physical store. But, new VR platforms are arising that are changing the game by merging the physical and online worlds of retail.. For example, try-on avatars are becoming a big hit in the fashion world. Apps such as DressingRoom are using augmented reality technology to enable shoppers to try outfits on an avatar – customized to the correct measurements – before purchasing an item. These platforms, change the online shopping experience for the better, as avatars and virtual platforms engage and retain the customers for longer. Now, customers can physically see the product on themselves or in the intended space before purchasing. 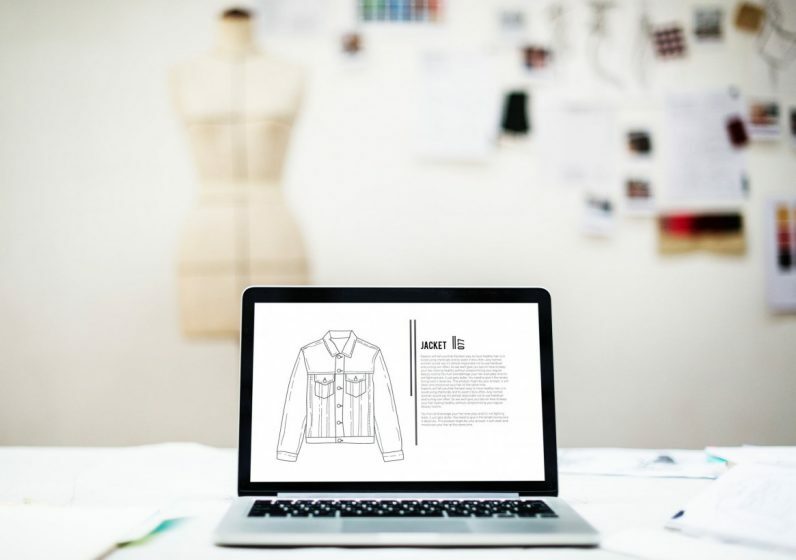 Overall, digitalization has completely evolved the fashion industry. With the introduction of new technologies such as AI, IoT, VR, and mobile customers can expect to receive a more personalized experience that caters to all their needs and concerns. Digital transformation is resulting in changes previously unimagined, and we can only expect this change to rapidly advance. Therefore, it’s time for retailers to embrace the new fashion landscape or get left behind.